In a 1930s-esque Chicago, Prohibition is in force, fedoras, flapper dresses and tommy guns are in fashion, and intrigue is afoot. Intrepid Librarians Irene and Kai find themselves caught in the middle of a dragon vs dragon contest. It seems a young librarian has become tangled in this conflict, and if they can’t extricate him there could be serious political repercussions for the mysterious Library. And, as the balance of power across mighty factions hangs in the balance, this could even trigger war. Irene and Kai find themselves trapped in a race against time (and dragons) to procure a rare book. They’ll face gangsters, blackmail and fiendish security systems. And if this doesn’t end well, it could have dire consequences for Irene’s job. And, incidentally, for her life . . . Welcome back, Irene and Kai. Another adventure awaits! 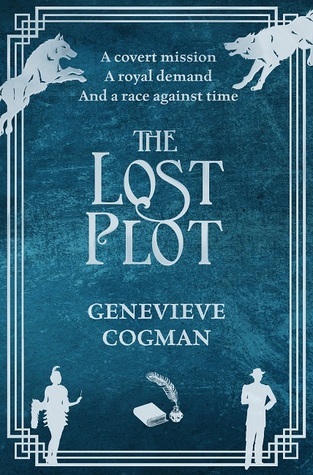 I’m a huge fan of this series – The Lost Plot marks book 4 and another splendid outing for Librarian spy Irene Winters and her assistant Kai. This time the plucky duo finds themselves trying to foil a plot to retrieve a book (of course), but also to keep the Library out of inter-dragon politics. The setting is 1930s Chicago and New York, with all the attendant trappings – tommy guns, wiseguys, speakeasy bars. Hijinks ensue, of course. The adventure is brisk, the writing just plain glorious fun, and the worldbuilding as enormously inventive as ever. I could read about the adventures of Irene and Kai all day long, and am deeply fascinated by The Library itself – I do hope that we get to see a little more of it in future books! I loved the setting of the story – Prohibition-era America is a fascinating place (and we all know how much I love a sense of place). Dragon politics is equally fascinating, and it forms the central driver to the story. Two dragons chasing one book to gain favour at court. Fabulous stuff. If you’ve not read the Invisible Library books, then you *could* start here, but I’d highly recommend starting your adventures with book 1 instead.